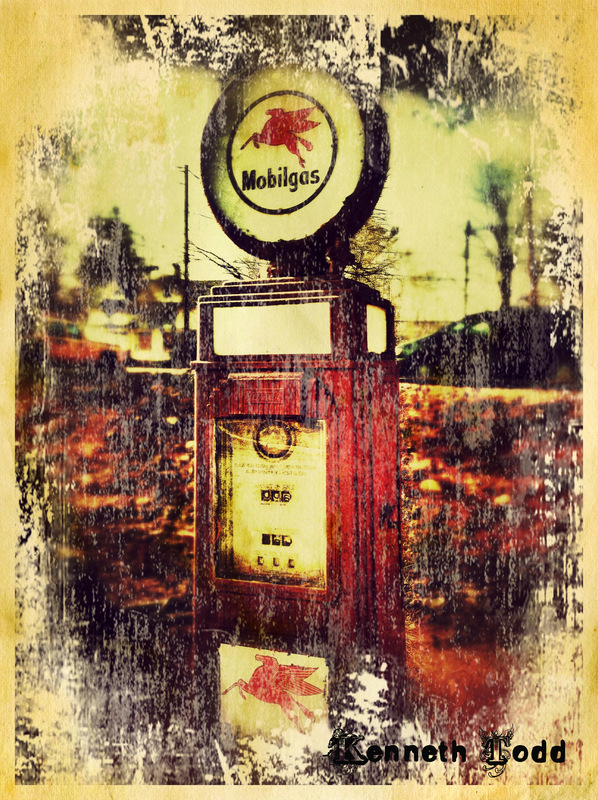 I have taken many pictures of this old gas pump, but with this one I used my iPhone and gave it a lot of contrast and aged and grunge look. This old beauty is so wonderful. Although now out of commission and no longer pumping gas, she has left a mighty legacy and anyone who passes her always looks across in admiration. A lesson for us perhaps? In her days she probably wasn’t respected or admired but just did her job day after day, without any hype or pretty looks. Now she is no longer “working” and is really old. But she is admired and appreciated more now. It’s not about how rich, famous, popular, beautiful, glamorous etc you are that counts. It’s the legacy you leave, that others can appreciate and admire after, that counts. Go about with good intentions and doing your bit without all the razz and attention and in the end you will be great. Once again, a great photo and a wonderful message. What a great post. I worked at the Mobil headquarters at one time. Thanks for the great photo. Great photo and post. Getting old has its benefits. Cool pic … wonderful commentary. Beautiful! Your editing really brought out the feeling in this image! Love it, love it, love it. Great shot and perfect edits. Hard to believe this was taken on an iPhone. Beautiful. The worst thing about it, however, is that it fills me with false confidence about my own abilities!